I confirm that the Bias Tee is set On with the flag on the AIRSPY software . Click on the arrow before the line on the left top of the screen : SOURCE AIRSPY , and you will see the box with the setting . I am really disappointed I have not received mine yet. I just contacted the seller to see what happened. After playing with my mini for a few hours last night I retract my initial assessment that it is the same performance as previous Airspys. For example, while analyzing the local 4G band at 930MHz I found a strong birdie with sidbands right in the middle of the 4G band with the Mini. 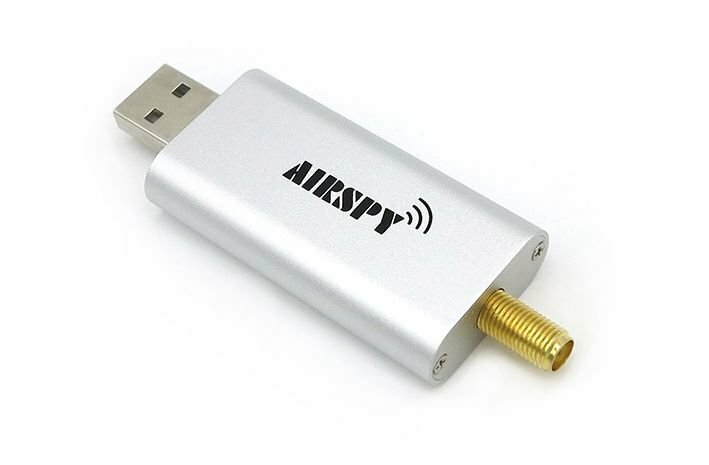 The old Airspy one does not have this birdie. I could not get rid of it by changing the gain controls. It was not possible for me to take a waterfall of 4G band activity with the Mini, I had to revert to doing it with the Airspy One. May 8, 2016 - 8:15 am XP is not supported! My Mini arrived from ITEAD. 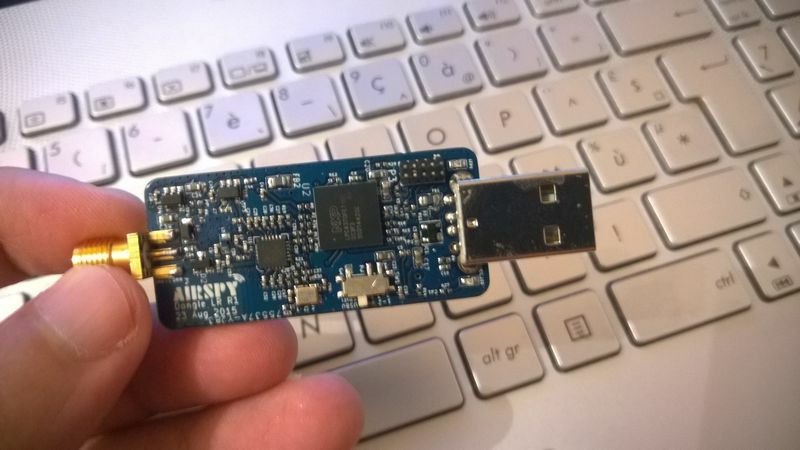 The Airspy USB driver for Windows XP does not work properly with the Mini. If the Mini is plugged in right after boot it is not recognized. But if my normal Airspy One is plugged in first, then it is recognized and works. Plugging the Mini after the Airspy One allows the Mini to be recognized by XP and work. But if you plug the mini in before the fullsize Airspy then neither of them works. I reinstalled both the full size and mini Airspy with ZADIG and everything is working well. The mini has less spurious responses visible, and at least the performance of my Airspy-one. I put a washer and nut on the SMA connector, to make sure it was connecting well to the aluminum case. I am a happy camper, thanks for the new device, Design Team! Windows XP – RIP April 8th 2014. Please do everyone on the Internet a favour and bury the corpse. Which is now, with 99% certainty, if it is on the Internet part of some giant botnet you are merely the person who is providing free electricity and network bandwidth to some hacker so that they can spread spam, launch Denial Of Service attacks and add new bots to their botnet. XP is dead move on. I am a security professional. I have given conference lectures on securing computers and networks. I use a copy of Windows XP that I have spent 15 years securing. It has never been penetrated. Windows 10 has completely open doors, and a recent Windows 7 MS update propagated a UEFI backdoor. Please keep this discussion on topics you know something about. I pity your idiocy but good luck in your ignorance. Does anybody know if it’s possible to use the software Spectrum Spy with the Airspy Mini? What does “compatible” with Raspberry pi and others mean? It does not meet the minimum stated specs. Will this run on a Raspberry pi? If you look at the data on their website it supports 6MSPs and 3MSPS which will probably work better on hardware with an overloaded single real USB 2.0 port that has a 5 port USB hub and a 10/100 USB NIC plugged into it. That does not answer the question. Their website says it is compatible. In what way? The RPi has one real USB 2.0 port that can in theory handle 40MB/sec. But it has a 5 port USB hub plugged into it has a 10/100 Mbit/sec (12.5MB/sec) USB NIC plugged into the hub. So if the NIC was in use there would probably be about 20MB to 35MB of spare capacity in the single real USB 2.0 port available depending upon the level of network traffic on the NIC. Now if you plugged in a keyboard and a mouse. you would probably loose another MB/sec to that. An Airspy running at 10MSPS, 12 bits samples, I+Q channel, uncompressed (no packing) would generate 40MB/sec going across a USB 2.0 bus it would basically mean that no other hardware could use the USB 2.0 bus and if any other device did try to use the USB bus data would be lost. The Airspy mini running at 6MSPS, 12 bits samples, I+Q channel, uncompressed (no packing) would generate 24MB/sec there is about 16MB/sec spare capacity on the single real USB 2.0 port in a raspberry Pi. Enough spare capacity that a 10/100Mbit/sec (12.5MB/sec) NIC should work and maybe a keyboard and mouse. The Airspy mini running at 3MSPS, 12 bits samples, I+Q channel, uncompressed (no packing) would generate 12MB/sec there is about 26MB/sec spare capacity on the single real USB 2.0 port in a raspberry Pi. Enough spare capacity that a 10/100Mbit/sec (12.5MB/sec) NIC should work and maybe a keyboard and mouse. 28MB/sec (not 26) I wish i could edit my posts. Thanks for that clarification. What I really need to know is will airspy mini work on the rPI model B as a remote spectrum server? Is there software doing so? Lets look at the amount of data that would need to flow in real time. The very most that you can in theory squeeze through a 100Mbit/sec NIC, once you factor in 4% overhead TCP/IP packet headers*, is 11.46MiB/sec. Notice any problem with using RPi hardware for anything that requires moving large amounts of data about ? * MTU of TCP/IP packets is usually 1514 bytes, TCP/IP header can vairy depending on option from anywhere between 20-60 bytes. So 1.32% to 3.96% headder overhead on each packet, it is always best assume the worst. Now if you did all the processing of the data on the RPi2B/RPi3 (RPiB probably does not have enough processing power, unless the heavy lifting was offloaded to the GPU, maybe) and you just streamed demodulated audio then maybe openwebrx ? Does anybody know what the switch at the side is for? I think this is done in the hardware settings of SDR#. My guess would be that swotch is to put the mini Airspy into DFU mode. My guess is that this switch does the same fuction as that jumper. So it’s default position is 2-3, but if a firmware upgrade failed (power outage or whatever) then you could flick that switch (1-2), boot up the device from USB (with the right software) instead of from its internal storage and get it back into a working state without having to unscrew the covers. Wow, with all the new SDR radios coming out these days, one can suffer from option paralysis as to which one to purchase, but I am not complaining, I love it! Thank you for the great posting.